If you’re looking for a romantic cocktail, look no further! 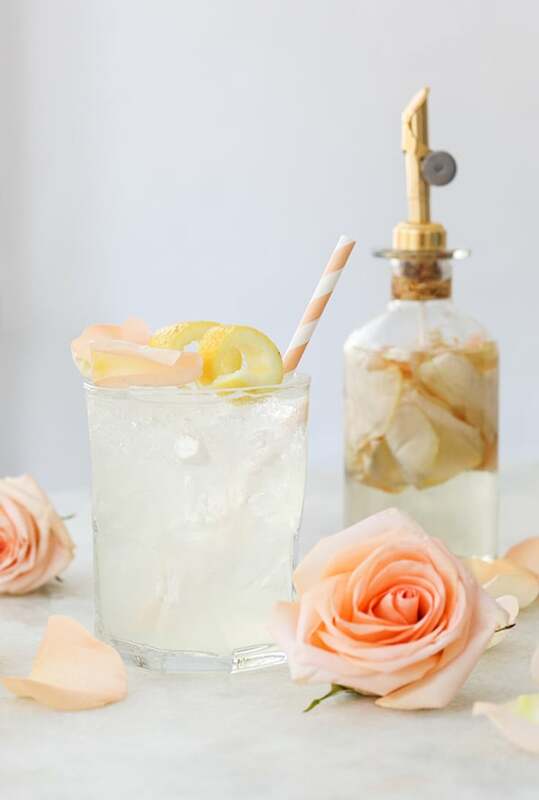 It doesn’t get more romantic than this unique and delicious, Rose Water Gin Cocktail! It’s only 3 ingredients and so easy to make. Each of the 3 flavors are all very present in the cocktail and it’s a very light and refreshing drink, making it perfect for these hot summer days! 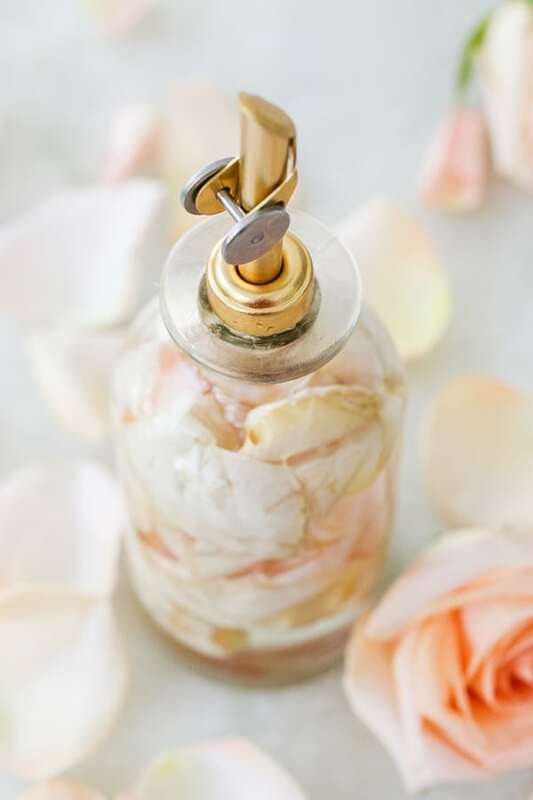 To get the floral and rosy flavor, we used rose water to create rose water simple syrup. It’s great to have on hand and only $9… you can buy it here. 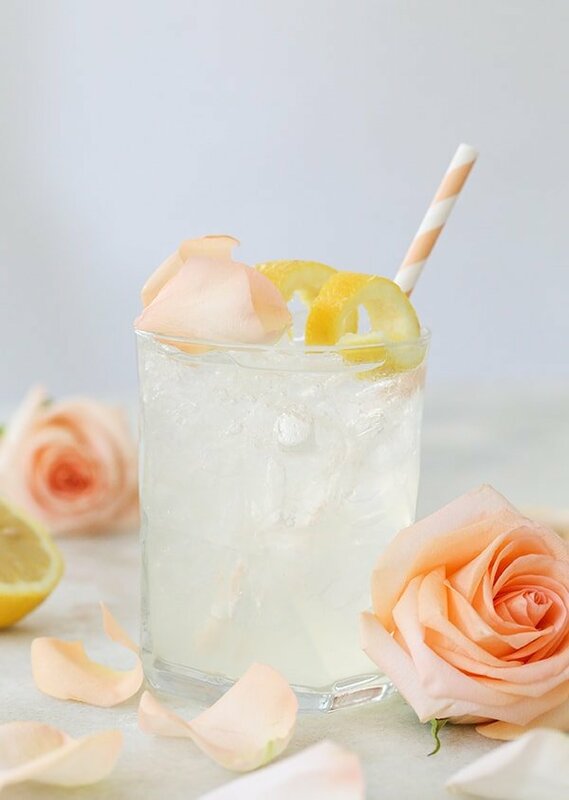 There are so many parties, themes and events this floral cocktail would be perfect for too! Enjoy and stay charming! 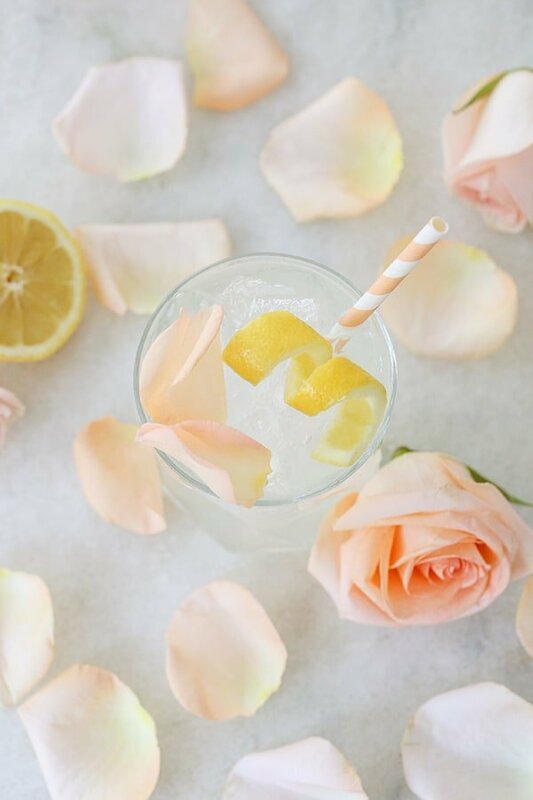 The rose water simple syrup is easy to make! Just simmer 1 cup sugar and 1 cup water in a small pot until the sugar dissolves. Remove and let it cool and then add in 1 teaspoon of rose water. We used this one, which is great! Featured in this photo: Striped straws, gold bottles and cassiopeia glassware. Add 1 cup water and 1 cup sugar in a small pot and simmer until sugar is dissolved. Let it cool and add in 1 teaspoon rose water extract. Store the simple syrup in the refrigerator. If you're serving right away add rose petals to the simple syrup for a beautiful presentation. In a cocktail shaker filled with ice, pour in the gin, lemon juice and simple syrup and shake for more than 20 seconds so the ice can melt and dilute the ingredients. Add a splash of club soda if you prefer! 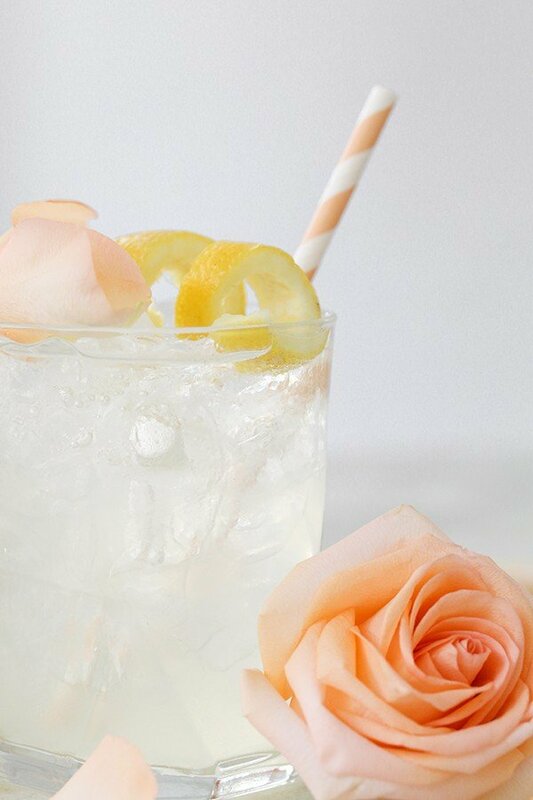 Strain over a large ice cube and garnish with a lemon twist and rose petal. Hi there! I just wanted to say that your gin cocktail looks fabulous. So sophisticated!! I’m definitely going to try it. Thank you for sharing it!